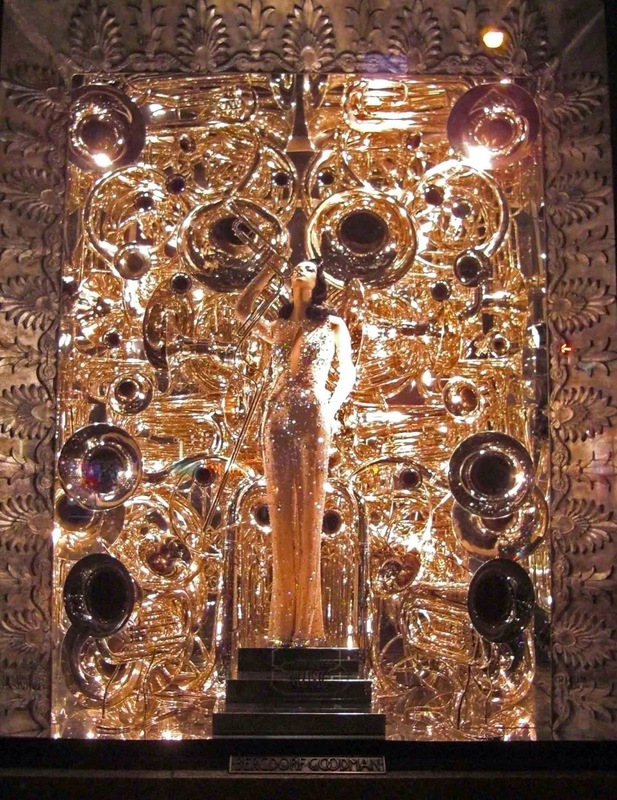 Bergdorf Goodman has chosen the theme of "Inspired" for its 2014 holiday windows, representing various fine, applied and performing arts. The "Music" window wins some sort of prize for its clear and dramatic interpretation, using enough silver saxophones, trumpets, trombones and tubas to equip several orchestras. The mirrored background reflects and multiplies the instruments in a blinding display of curves and shiny chrome. It takes a lot to upstage a gorgeous woman in a diaphanous sparkly gown, but those musical instruments just about do it. David Hoey and his Bergdorf's team have inspired us once again.